Value Network SolutionsTM provides measurable benefits to providers, payors and patients. Innovation in a highly regulated industry such as health care can be difficult. However, our health care system is broken and the health care industry has never had a greater need to innovate than now. In fact, health care innovation is so important that the Centers of Medicaid and Medicare Services (CMS) created the CMS Innovation Center in 2010. Its purpose is to test “innovative payment and service delivery models to reduce program expenditures …while preserving or enhancing the quality of care”. 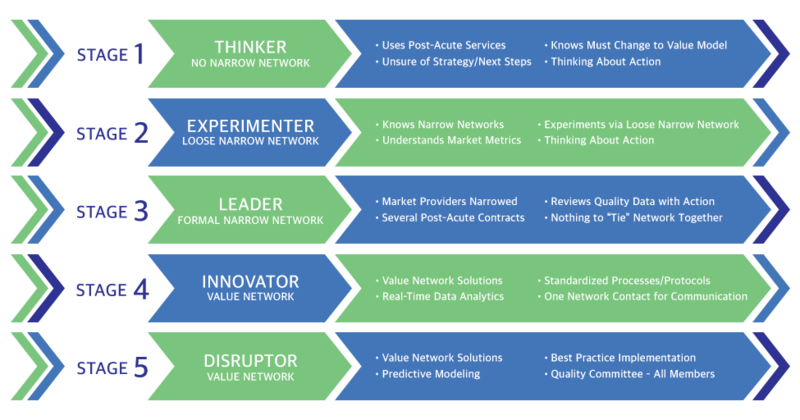 There are five stages in the evolution of a Post-Acute Narrow Network to a Post-Acute Value Network using the innovative Value Network SolutionsTM platform. At the center of Value Network SolutionsTM is a cloud-based software solution that improves the coordination, communication and collaboration of providers, payors and patients in the delivery of care. Our Solution is based on years of industry experience culminating in a platform that is innovative and unique in the industry. 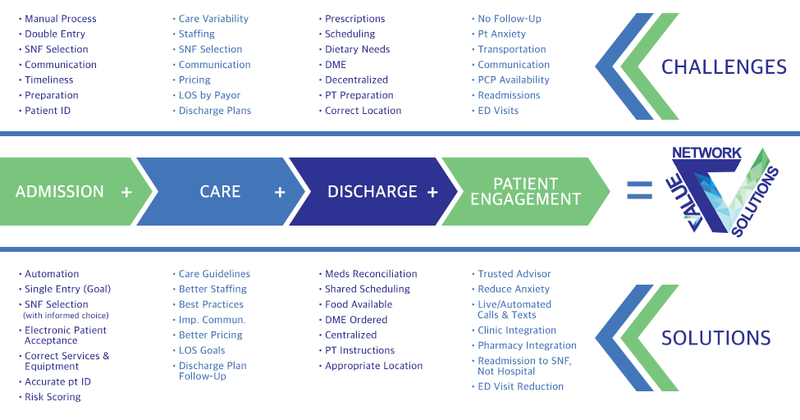 It is not an electronic medical record (EMR), but it enables providers to use an automated tool that works in conjunction with electronic medical record systems for the delivery of care.